The Hazara people, one of the largest ethnic groups, live mostly in the countryside of the central highlands of Afghanistan, which are called Hazaristan or Hazarajat. “The Hazara indigenous people made up nearly 67 percent of the population of Afghanistan prior to the 19th century.” (Hazara). 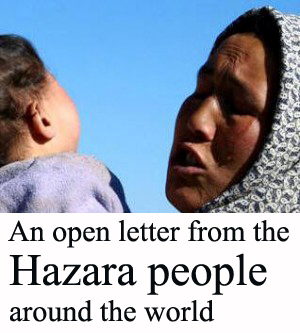 From the 18th century up to now, the Hazaras have suffered discrimination and oppression. Abdul Rahman, the king of Afghanistan from 1880-1901, confiscated Hazaras’ lands and killed more than 62% of the Hazaras. 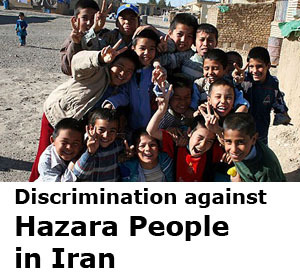 During the regime of Abdul Rahman, many Hazaras fled to India (Pakistan), Iran, and other countries around the world. In March 1995, the Taliban killed the Hazaras’ leader, Abdul Ali Mazari. 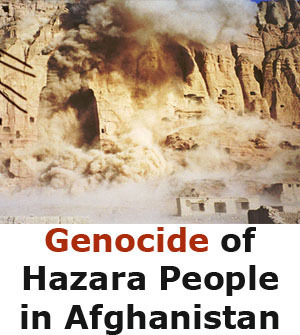 And when they got control of Hazaristan, they killed a large number of the Hazara people in Mazar-e-Sharif, Bamiyan, and in other parts of Hazaristan. If they were stayed in power, they would do worse than Abdul Rahman. A popular saying among the Taliban has been, the Uzbeks should go to Uzbekistan, the Tajiks should go to Tajikistan and the Hazaras to the graveyard. “The [systematic]persecution of the Hazara was not instigated by the Taliban although more documented, but has existed for centuries where the Hazaras were driven out of their lands, sold as slaves and had a lack of access to services available to majority of the population.”(Hazara). It is obvious that the Taliban terrorists have not been completely removed from Afghanistan. 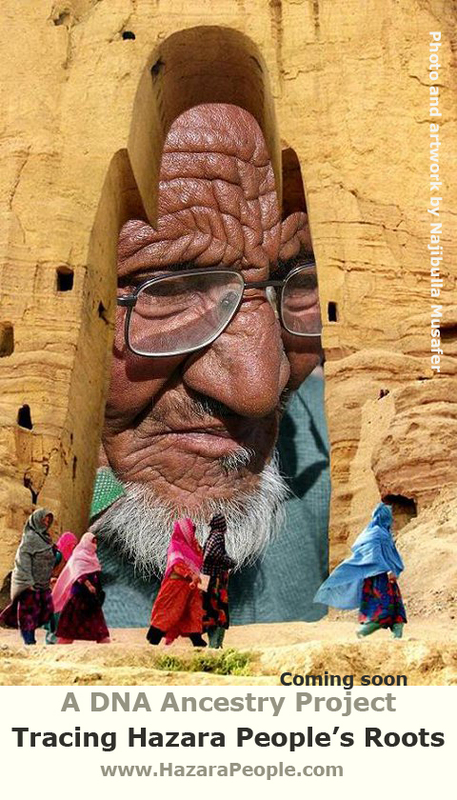 Even today the Hazaras are not safe in Afghanistan. Every year, Afghan nomads, Kuchis, who are supported by the Taliban attack on Hazaristan, kill innocent Hazaras, and burn their houses. Most of the roads, which connect Hazaristan to the other part of countries, are controlled by the Taliban. Usually, the Taliban block the Hazaristan roads and inspect passengers and the vehicles. Up to now, more than hundreds of Hazaras who travelled to Hazaristan have been killed by the Taliban. Most Hazaras, who live outside of Afghanistan, work for NGOs and international coalition forces, or work for the Afghan government, cannot travel to their hometowns. If they travel to Hazaristan, they would also be killed by the Taliban terrorists. Just recently, Hussain, who was deported from Australia, and Syed Habib Musawi, who came from Australia to visit his family members in Jaghori, one of the Ghazni’s districts, have been killed by the Taliban when they were traveling to Jaghori. John Denham, Labour MP for Southampton, writes in his article that “There has been killing and forced displacement of Hazaras from Khas Uruzgan and killings and disappearances along the roads from Kabul to Bamiyan, Ghazni and Herat. 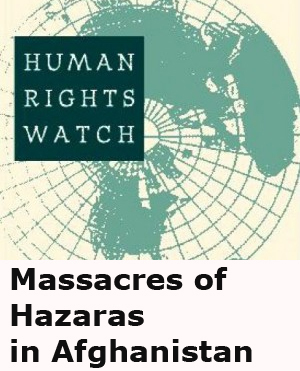 Thirty Hazaras were killed three separate attacks on those highways in July 2014 alone”( Denham, ). These incidents have been happening in Afghanistan while the international forces and American forces are present in there. Without a doubt, if the international forces and American forces withdraw from Afghanistan, the Taliban would come in power; then the Hazaras would confront the same situation or even worse as they had during the time of Abdul Rahman and the Taliban. 1. Because Hazaristan have been blockaded by the Taliban terrorists, it is very hard for Hazaras to travel to other parts of the country. Therefore, we ask from the new elected government of Afghanistan and coalition forces to take immediate action against the Taliban. 2. Every year Kuchis, Talibani affiliated, attack many parts of Hazaristan. We ask from the government of Afghanistan and international community to give Kuchis permanent settlements, so Taliban terrorists should not have the opportunity to use Kochis’ name, to attack on Hazaristan every year. 3. Since Afghan governments has not paid attention and no major developments have been done in Hazaristan, we ask the new government to initiate mega projects in Hazaristan, so the Hazaristan can be the same level as other parts of country. Hazara ethno-sectarian minority makes up only 0.2 (about half a million) of about 200 million Pakistani populations. The community members dwell mostly in the Quetta; the capital city of the country’s most deprived province, Balochistan. More than 1400 Hazaras  have been killed and over 3,500 have been injured, maimed and permanently disabled in and around Quetta city over last 14 years by Al-Qaeda affiliated Sunni extremist militant groups—Lashkar-e-Jangvi (LeJ), Taliban, Sipah-e-Sahaba and Jaish-ul-Islam. LeJ has been claimed responsibility for most of the gruesome attacks on Hazaras with open threats to turn Quetta city into Hazaras’ graveyard . Not a single terrorist has ever been brought to justice up to date. According to Asian Human Rights Council (Aug, 29,2012) many of these target killings have been occurred close to Pakistani security forces checkpoints. After every killing incident, the killers walk away easily and the security forces have failed to chase the killers or apprehend the culprits which has given rise to a sense of helplessness among the persecuted community. The Human Rights Commission of Pakistan’s 2014 report  noted “In 2013, Pakistan became a more and more dangerous country for religious minorities.” The Minority Rights Group International’s 2014 report  states, “Attacks by extremist groups against Pakistan’s Shia have been on the increase since the 1980s, but targeted killings reached unprecedented levels in 2013, with some 700 Shias murdered. For the last five years, over 50,000 Hazaras  especially the youths have fled Quetta city, and majority of them have managed to take refuge in other countries. Nearly 300 lost their lives off shores of Australia when the boats sank and disappeared. Human Rights Commission of Pakistan  reports that 300 Hazara students have stopped going to (only) Balochistan University due to fear of getting killed. Most Hazara university and college lecturers  have either left teaching or on the long leave without pay due to their life threat. Hazaras who were working in government or non-government offices in different parts of the Quetta city especially in the northern, southern and western areas have stopped going to their jobs because most Hazaras have been killed in those areas. Most parts of Quetta city have now become no-go areas for Hazaras. During a session of Pakistan’s Upper House, Senator Hasil Khan Bizenjo  informed the house that an SMS is circulating in the provincial capital by the militants which has been asking people to inform them whenever they spot any Hazara”. Hazaras are currently under siege in two ghettoized areas, Mehrabad and Hazara town, in Quetta City and they cannot go to schools, colleges or universities, or work freely. Other nations avoid socializing with Hazaras because they are afraid of being killed. Based on the constitution of Pakistan Article 25 and 36 which confirm the equal human rights of all Pakistanis including minorities, the government of Pakistan, provincial governments and law enforcement agencies have thoroughly failed to implement these articles. The Supreme Court of Pakistan  in its judgment about the Balochistan law and order case on 12th of October 2012 verifies that the federal government failed to discharge its duty under Article 148 (3) of the Constitution of Pakistan as it should have played its role with the cooperation, coordination and hand in hand with the provincial government to control and maintain law and order in Balochistan. In addition, the Constitution of 1973 guarantees complete religious freedom, social justice, and equality of rights to the minorities; however, the relentless 1400 killings of Hazaras signifies the failure of the present government in providing protection to minorities’ religious freedom, social justice and the equality. “Routine targeted killings against the Hazara and other groups because of their ethnicity, religion or political affiliations raises serious questions about the will or ability of Pakistan security forces to protect the people of Balochistan” says Amnesty International . In order to stop Hazara killings in Pakistan, the following demands must immediately be addressed by the Government of Pakistan. 1. The Government of Pakistan must work out a viable plan to initiate a comprehensive and rigorous targeted operation against the Al-Qaeda affiliated terrorist groups such as LeJ who roam freely in and around Quetta. 2. The Supreme Court of Pakistan should take a suo motu notice of the ongoing persecution of Hazaras and mobilize the state apparatus to bring all the perpetrators to custody. 3. 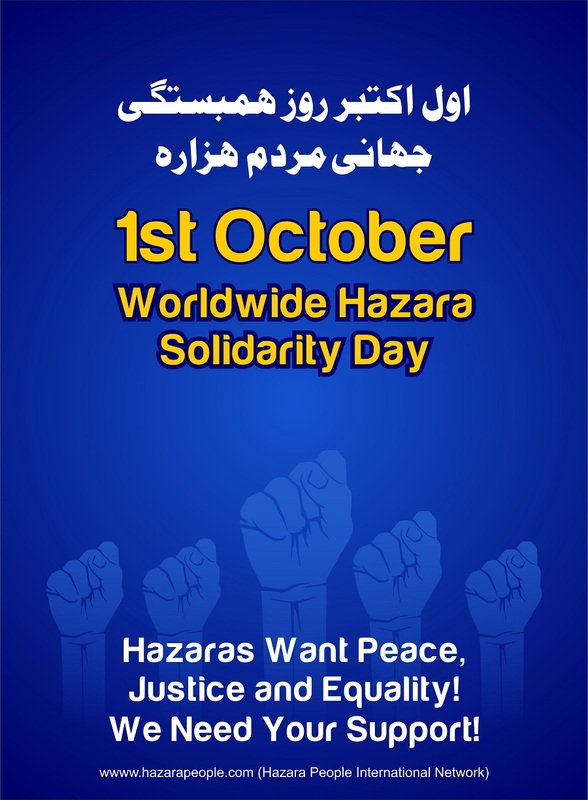 Free and peaceful movement of Hazaras within the Quetta city and other parts of province should be ensured through fruitful and visible action by the security apparatus. 4. The hate campaign against the Hazaras by Ahl-e-Sunnat Wal Jama’at (ASWJ), the political wing of LeJ), should be immediately stopped and the group must be completely banned. 5. The victims and the affected families must be financially supported. Being a member and a signatory of the United Nations it is the prime obligation of the Government of Pakistan (GoP) to implement Article 3 of the UN Declaration of Human Rights, Article 6 of the International Covenant on Civil and Political Rights, Article 5 of the International Convention on the Elimination of All Forms of Racial Discrimination, and Article 1 of the UN Declaration on the Rights of Persons Belonging to National or Ethnic, Religious and Linguistic Minorities. The Government of Pakistan (GoP) must take effective measure to protect the Hazaras and bring the culprits to justice. 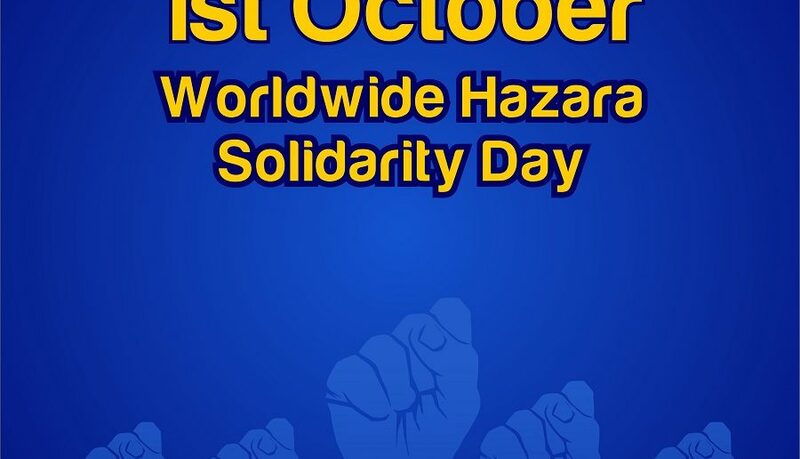 The Hazaras are concerned over the silence of the international community, human rights originations, European Union and the United Nations over the continued genocide of the Hazaras in Pakistan especially in Quetta for the last 14 years. 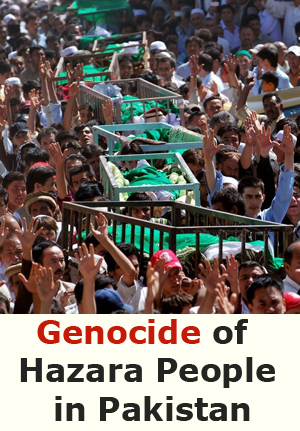 They must come forward and force the Government of Pakistan to immediately stop the ethnic cleansing of the Hazara. 1. Hazara. “World Directory of Minorities and Indigenous Peoples”.